Have you ever been to a castle before? If you are planning on going to London, you should check out the Windsor Castle. 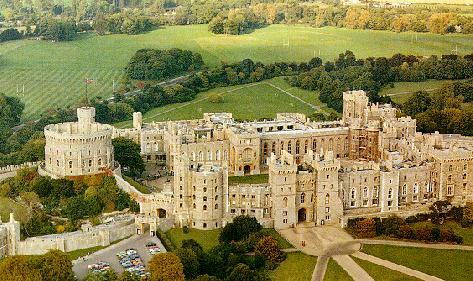 According to Wikipedia,Windsor Castle, in Windsor in the English county of Berkshire, is the largest inhabited castle in the world and, dating back to the time of William the Conqueror, is the oldest in continuous occupation. The castle's floor area is approximately 484,000 square feet (44,965 square metres). Most of the Kings and Queens of England, later Kings and Queens of Great Britain, and later still kings and queens of the Commonwealth realms, have had a direct influence on the construction and evolution of the castle, which has been their garrison fortress, home, official palace, and sometimes their prison. Chronologically the history of the castle can be traced through the reigns of the monarchs who have occupied it. When the country has been at peace, the castle has been expanded by the additions of large and grand apartments; when the country has been at war, the castle has been more heavily fortified. This pattern has continued to the present day.